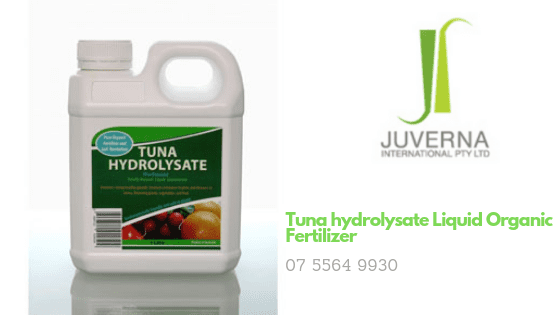 How Tuna hydrolysate Liquid Organic Fertilizer Improved Agricultural Crops? Tuna hydrolysate Organic fertilizer is very much useful for cultivating agricultural crops. Being organic in nature, it fits the needs of today’s generation who are genuinely concerned about the environment and are against the use of chemical fertilizers. How is Tuna hydrolysate prepared ? The term hydrolysate is a process where the raw fish material is turned into a soluble version, which is again mixed with other liquids to produce a Liquid Fertiliser. The products used are normally fish flesh, bones, scales, guts and more. These solid materials are finely ground and mashed up. Several enzymes are mixed to make the mixture into an amino acid based compound. Since Tuna hydrolysate is organic, using it on your garden, or farm can boost plant growth. Instead of using other varieties of fertilizers, research has proved that those who use organic fertilizers produce more fresh and green fruits and vegetables. Improving the soil quality : Tuna hydrolysate Organic fertilizer has a huge quantity of micro and macronutrients in it. It also contains amino acids and is rich in nitrogen. Hence, using the oil is tremendously beneficial for soil quality and improved rooting. Supplies natural Nutrients to the plants : Organic fertilizer made from Tuna fish provides instant food for the plants. Since there is no chemical, the farmers or gardeners need not worry about any kind of contamination. In turn, it stimulates the plant growth and naturally improves the plant health. Remember while using Liquid Fertiliser, you must take 1 part of it and mix with 3 parts water and spray all over your plants. Although there can be a fishy odor, relax it will fade out soon! 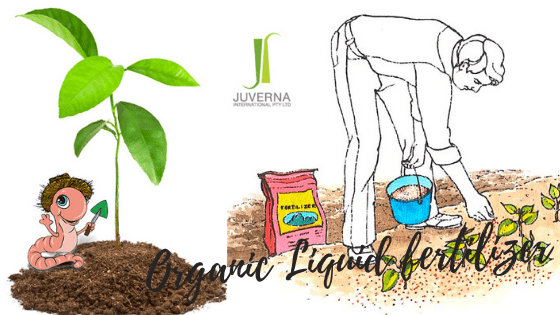 Making Organic Liquid fertilizer at home is super easy and is very handy for organic gardening enthusiasts. Whether you make it from seaweed, vegetable waste, manure, boiling tuna fish or plain weeds, liquids fertilizers will surely boost the garden fertility. Research has shown that Organic fertilizer in the liquid state acts faster than seed meals and other sold organic products. Home Made Fertilizer from Vegetable Scraps : To prepare this organic Liquid fertilizer you will need Vegetable scraps, Epsom salt, ammonia, and water. First, start saving the peels and the extra parts of vegetables. Use the freezer to gather quite an amount. Puree the scaps in a blender with sufficient water. Pour the puree in a bucket and add a half teaspoon of salt and one capful of ammonia. Stir the bucket and leave it overnight. Apply it to the soil and let the roots get their food. Organic fertilizer made from manure : Preparing organic fertilizer from the waste of livestock is very useful as it is filled with nitrogen. All you need is dumpings from your preferred animal and water. Steep for four weeks and then apply it to the base of your Plants. In fact, adding the water of washed fish into your plants is also a great natural fertilizer.Tuna hydrolysate is a very essential organic liquid fertilizer that not only promotes plant growth but also protects the plant from diseases and control pests. Home made organic Liquid fertilizer will act slow but are effective for a plant grown and its health. You must apply Organic fertilizer in your garden twice a week. Since Tuna hydrolysate is easy to regulate and is simple to apply you can easily get it from online marketers who specializes in Wellness Related Products. Therefore, do not waste any more time, hurry and find your nearest online organic fertilizer seller now!